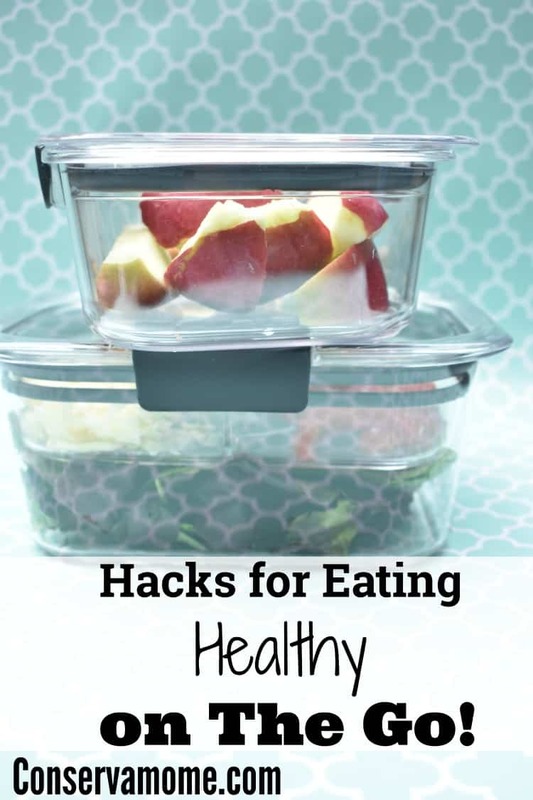 Check out some hacks for eating healthy on the go. AlthoughThis is a sponsored post for SheSpeaks/Rubbermaid® all opinions are my own. When on the go making healthy eating decisions can be hard. It’s especially tough when you’re running around on various errands or if you’re at work. Even if you bring your lunch it’s important to make sure you’re following these hacks to help maximize the healthiest eating habits while away from home. Even when you’re home, its important to stay consistent with a routine so that you develop habits that will help you stay healthy and eat healthy.So check out these easy tips to help you on the road to healthy eating, even when life is most chaotic. Don’t skip Meals:It’s so easy to skip a meal, especially breakfast or lunch. We all get caught up with our day to day and don’t realize how unhealthy it is to skip a meal. People who eat all their meals (and have a few snacks through the day) are the most successful when it comes to their weight goals and eating habits. Although it may feel like starving yourself will help with weight loss, this unhealthy habit always ends up leading to bing eating which is a monkey wrench when it comes to diet goals. 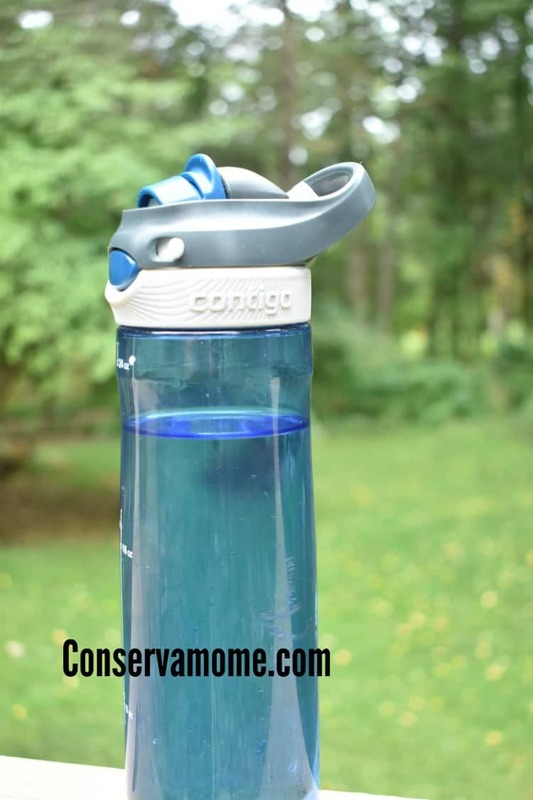 Stay Hydrated: I am guilty of not doing this but have really made an effort to make sure I always have my water bottle ready to go. Many times when we’re hungry or start craving “bad foods” it’s because our body is really dehydrated. 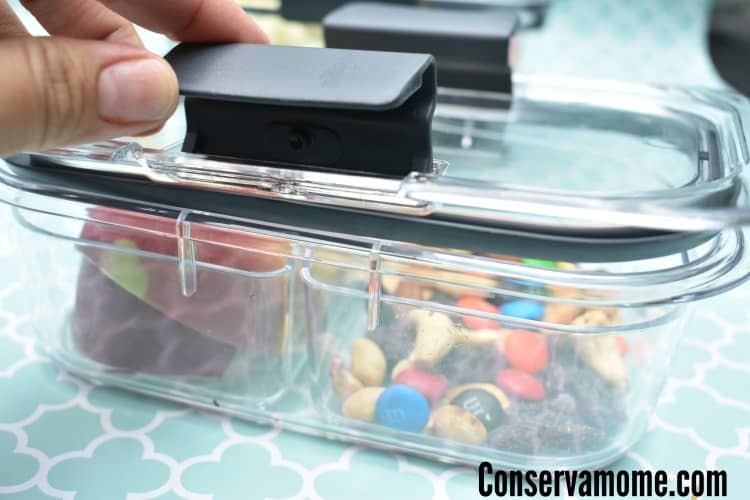 I love these 100% Leak-Proof containers Airtight latches keep container tightly secured with no leaks or messes. Make Lunch exciting and Brilliant: Get excited about lunch with fun unique flavors and ingredients that are healthy and will keep you on track with your health goals. 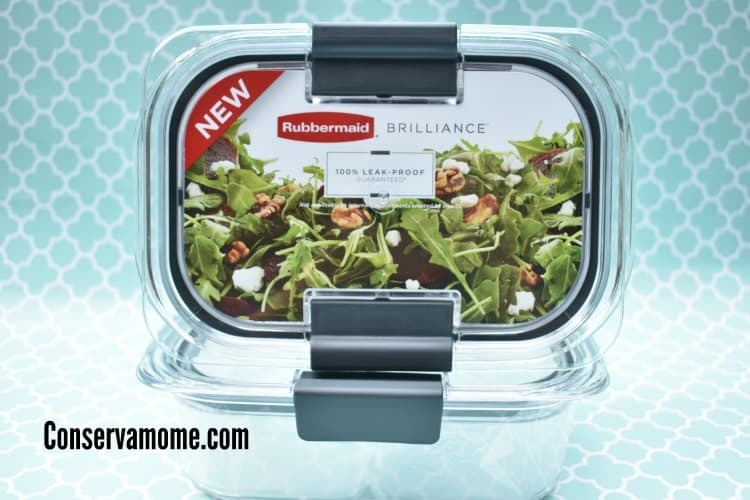 I love my Rubbermaid BRILLIANCE containers because I’m able to use the various compartments to make delicious salads and it includes a Adjustable insert trays and dividers create separated compartments within the container and allow controlled placement based on the foods being packed or stored. So you can add various ingredients without sogginess. 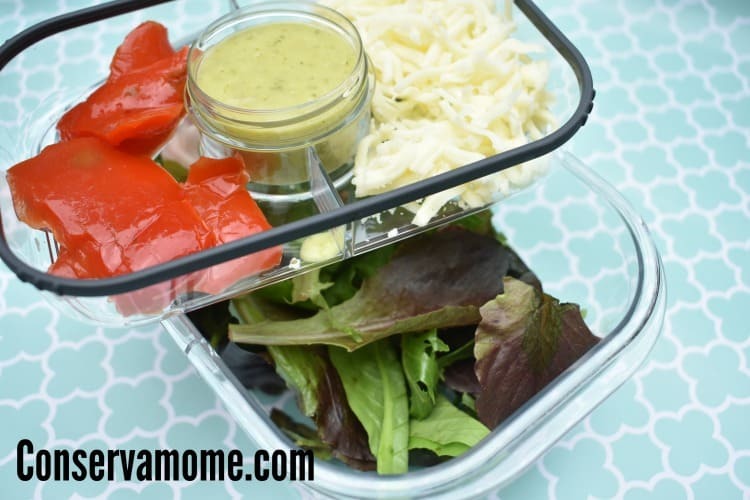 Best of all it also includes a dressing compartment so you can include a delicious dressing like my homemade avocado cilantro dressing to any salad creation. Rubbermaid’s pristine 100% leak-proof food storage container, BRILLIANCE, now comes perfectly designed for ready-to-go meals and snacks. With customizable insert trays and dividers, the BRILLIANCE Snack & Salad Set is your all-in-one solution for taking lunch on the go! Made of Stain Resistant Material that is also a ultra-durable Tritan material that keeps the container both stain-free and odor-free.Best of all it’s BPA free and safe for the dishwasher, microwave and freezer. So taking your lunch on the go and keeping up with a healthier life style was never so easy, delicious and Brilliant! Now for the best part! You too can eat healthy when on the go because one lucky winner will get a chance to win a Rubbermaid BRILLIANCE Snack & Salad Set! So head below for your chance to win! This giveaway is open to US only and ends on 9/29 at 11:59pmEST. Must be 18yo+ to enter. Good luck! My favorite on the go snack is a banana! My favorite on the go snack are anything that Belvita makes! I love all of their products, they are both delicious and healthy! We always have cheese sticks in hand, fast and easy. My favorite on the go snack is hot cheetos. Cheese..cheese it’s , fruit and yogurt..cottage cheese with tomato and avacado. I like grapes to snack on! Nuts are my favorite to go snack. I like any kind of nuts. I like cheese sticks and almonds for a nice snack! Peanut butter and anything. Celery, crackers oh, anything. Love peanut butter! My favorite on the go snap is a granola bar. I like almonds and berries. I love to pack raisins and cashews! Cashews and raisins! They are my fav! My favorite go to snacks are almonds and gluten free crackers. I try to have a snack baggie full of almonds as my quick snack. I am a vegetarian and I love ideas for healthy snacks and meals. I love vegggies and fruits! I like to have some almonds in my purse or in the car. My on the go snack is typically cheese crackers. My favorite on the go snack is a banana. If that’s not enough I like bagels, but I’m trying to go low carb. My favorite on the go snack is pretzels and cheese crackers. I typically take bananas but I really like Carrots and hummus also. My favorite go to snack is grapes. I eat them so much lol! I enjoy making a mix of oats , nuts and raisins. I like nuts for an on the go snack. My favorite on the go snack is sweet and salty nuts. Mixed nuts is my favorite on-the-go snack. I love nuts and fruit! These containers are nice. My favorite on the go snack is fruit salad. I love these containers. They look very sturdy. My favorite snacks are apple slices with almond butter. My favorite on the go snack is cashews! My favorite on the go snack is granola. My go to snack is almonds! Great tips … and these containers are so clear, I thought they were glass! 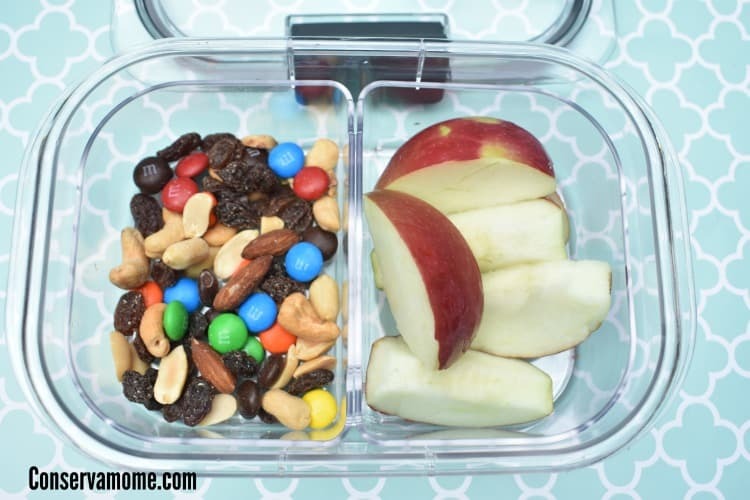 My favorite on the go snack is either trail mix or fruits like grapes and vegetables like carrots. Love these – with the snack tray inserts that would be good for picnics! I love fresh fruit and veggies like carrots and celery. My favorite go to snack is nuts mixed with dark chocolate!